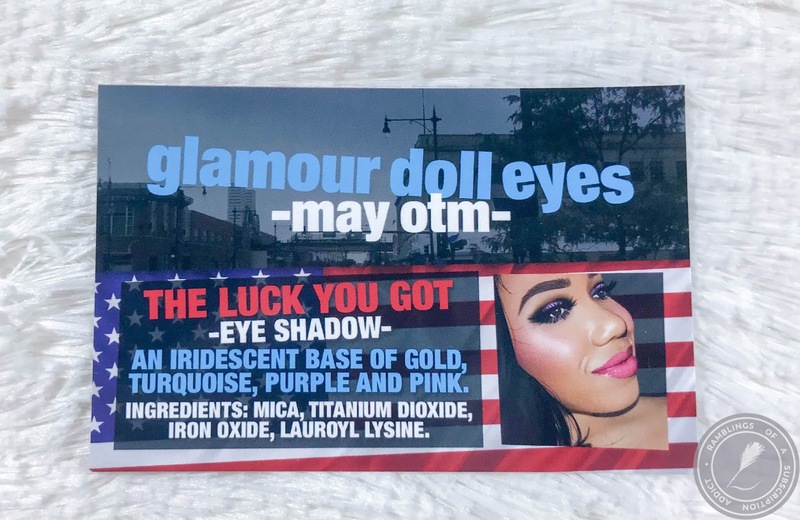 What is Glamour Doll Eyes Of the Month? 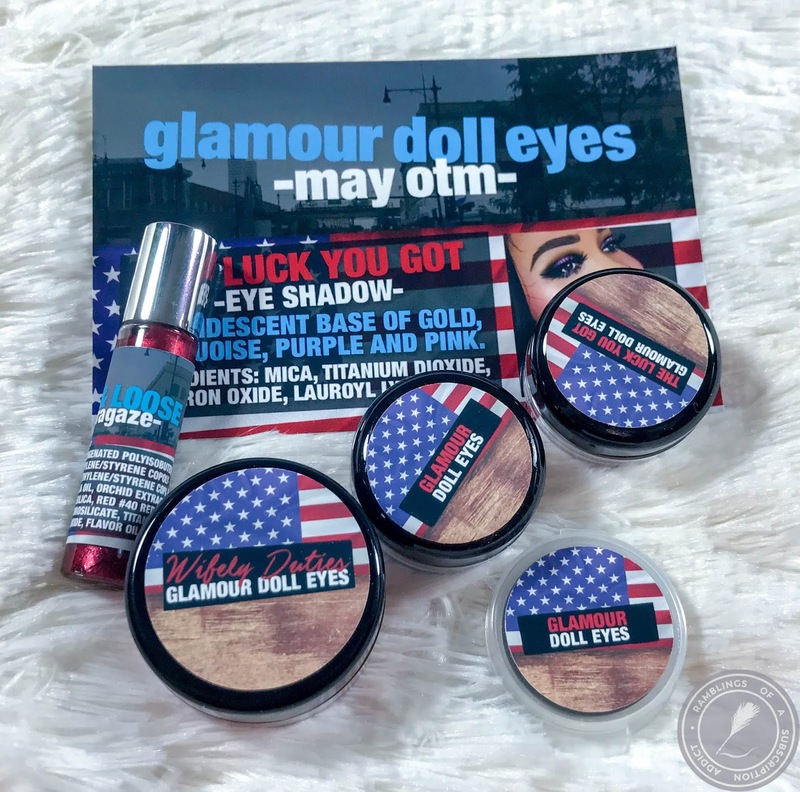 : Glamour Doll Eyes Of the Month is just one of the subscriptions offered by Glamour Doll Eyes. 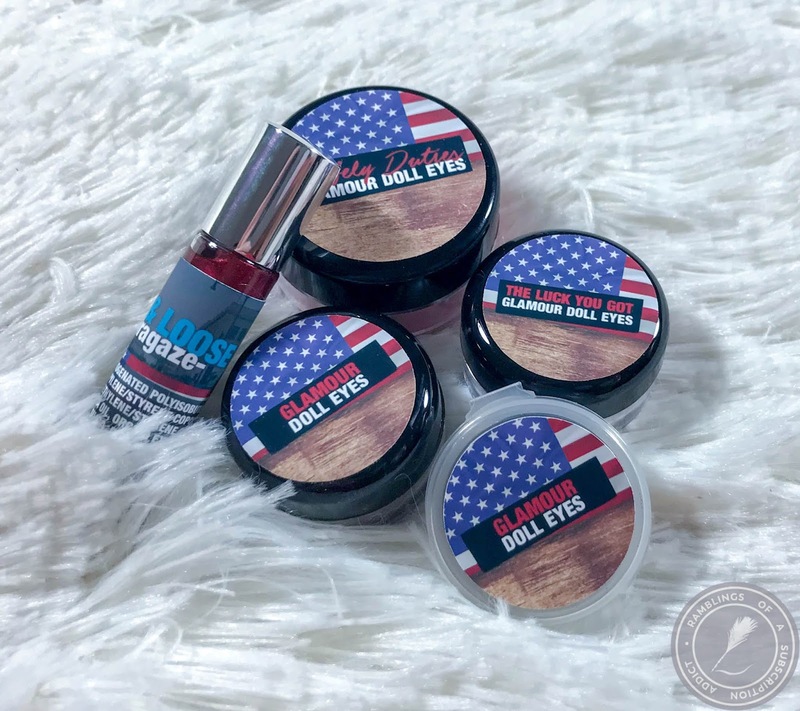 Each month will include one limited edition eye shadow by GDE and 1-2 extras from other indies or GDE (extras can be sample, deluxe, or full-sized). If you're interested, the other subscriptions from GDE include the Basic OTM, the Blush Club, the Glitter Club, and the Surprise Monthly. 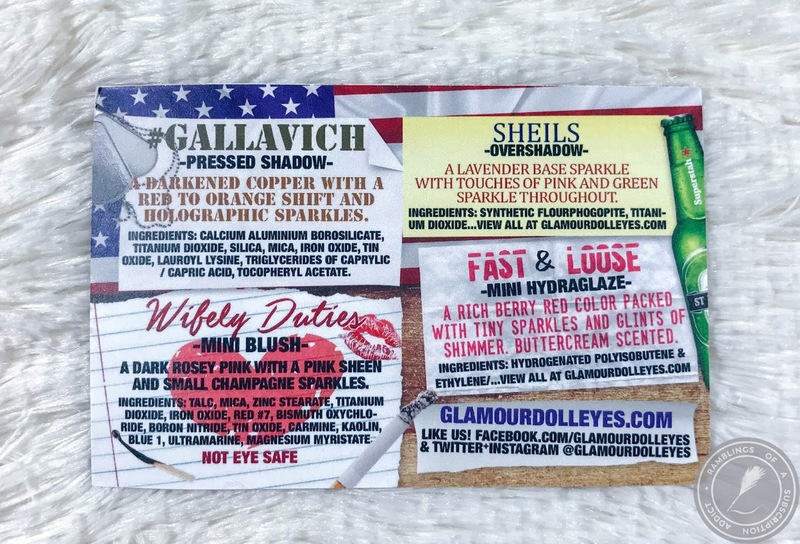 How Much is Glamour Doll Eyes' Of the Month? : OTM is $8.00 plus $3.00 shipping for US. I'm not sure what international shipping is, if you know, comment below! Shells (Overshadow) is a lavender baes sparkle with touches of pink and green sparkle throughout. I've never heard of an overshadow before, but I don't frequently buy from GDE other than the subscription, so this might be something only she does. 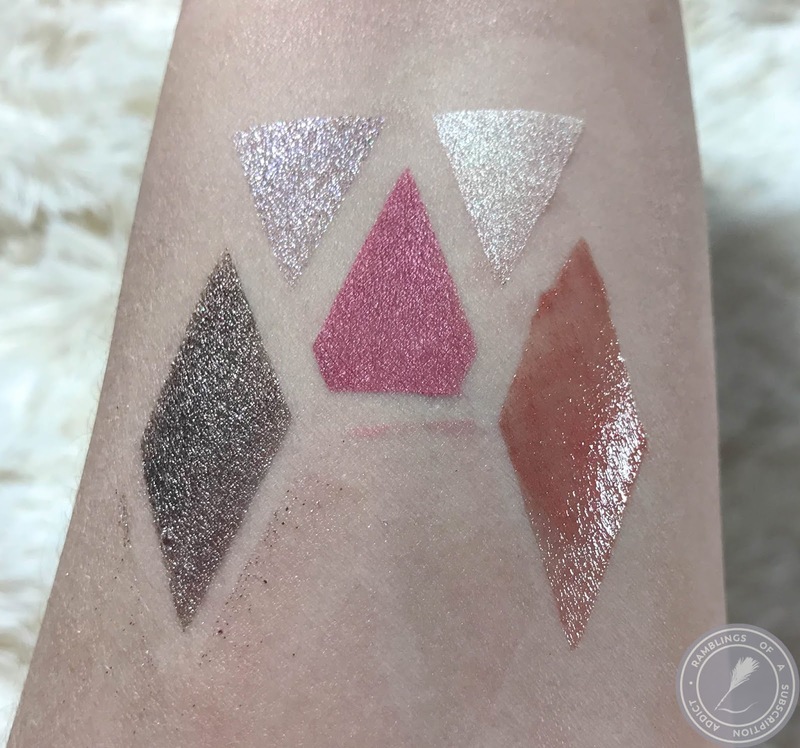 This is a gorgeous shadow and would look really pretty over a black base especially. 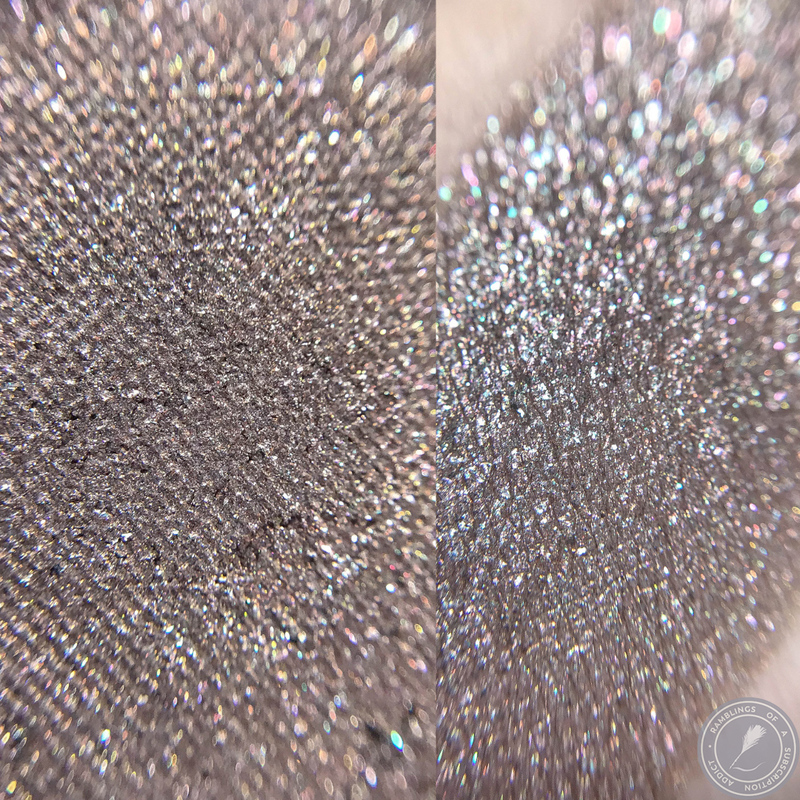 The Luck You Got (Eye Shadow) is an iridescent base of gold, turquoise, purple and pink. I'm imagining this over a nice concealer base and in the middle of your lid in a halo eye, perfect. The shift in this is stunning and I'll definitely be using this. #Gallavich (Pressed Shadow) is a darkened copper with a red to orange shift and holographic sparkles. 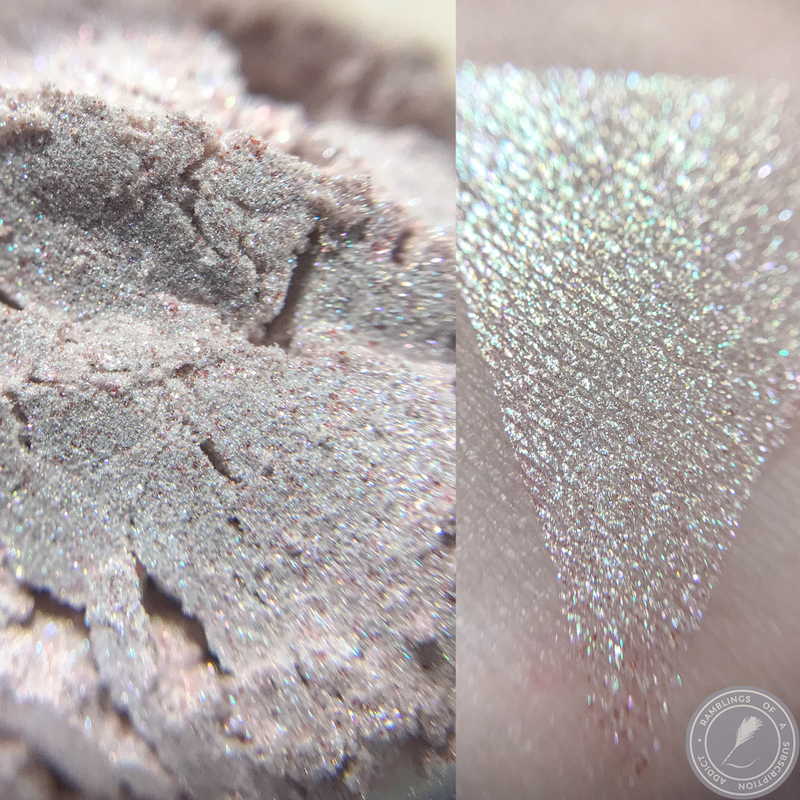 I love when indie subscriptions include pressed products, not everyone has a ton of experience with loose shadows and sometimes needs the ease of a pressed product. 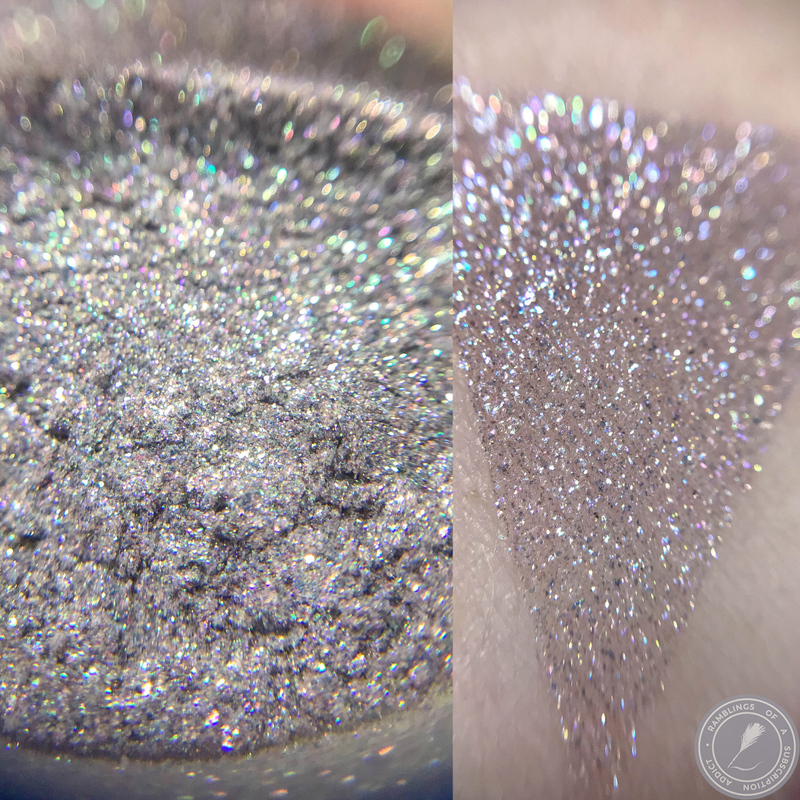 This is stunning and a ton of pigment comes up when you tap into this and it looks really pretty packed on or blended out. 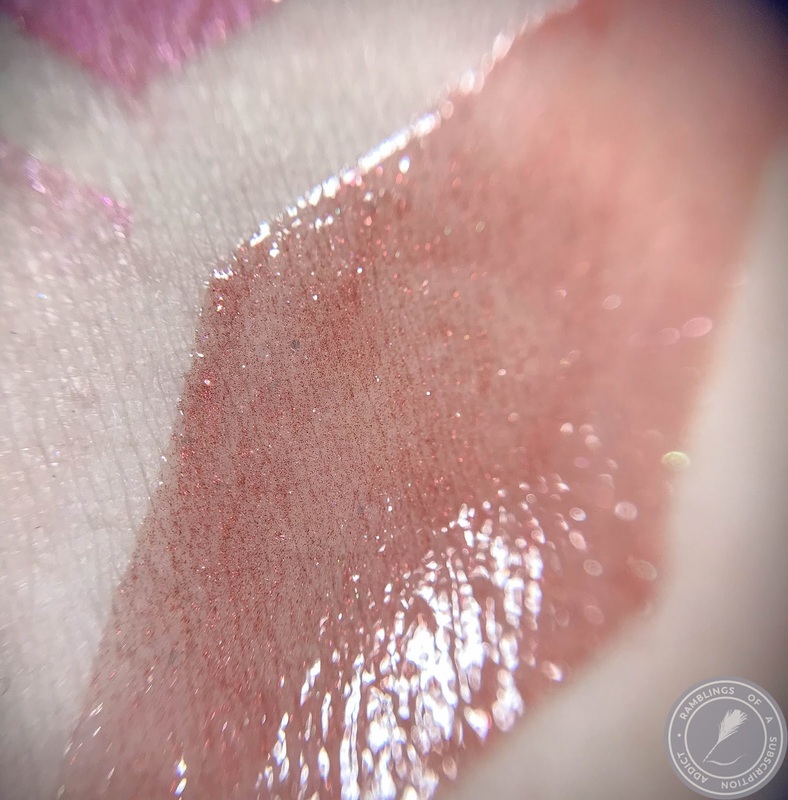 Wifely Duties (Mini Blush) is a dark rosey pink with a pink sheen and small champagne sparkles. This is a STUNNING blush. The sparkles aren't so much that they're overwhelming and the sheen doesn't make my pores show up too much worse than they normally do. 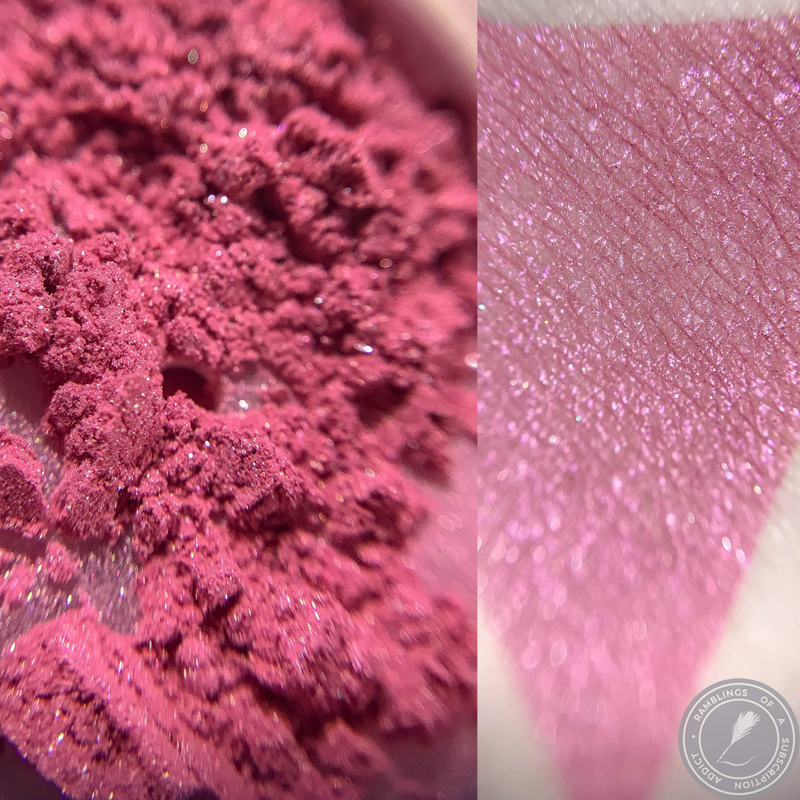 Fast & Loose (Mini Hydraglaze) is a rich berry red color packed with tiny sparkles and glints of shimmer. Buttercream scented. This is pretty but I wouldn't call it a berry shade. It's definitely a burnt red gloss. I passed it along to someone that would wear it. Swatches. I have no clue how to detail them. They match the order they're listed in this post. Overall, this was a fun month. I love neutrals so much and could easily make a look out of this month's OTM.